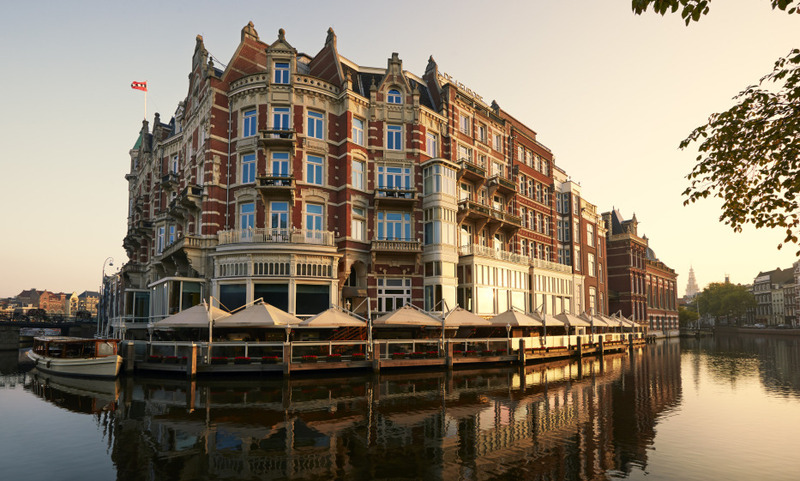 Built in 1896, De L’Europe is one of Amsterdam’s grand dames, found on picturesque river Amstel in the centre of town. You’ll find classical features such as crystal chandeliers and high-quality copies of Old Masters; otherwise, prepare yourself for a very modern hotel experience with a striking aesthetic. 111 beautifully appointed guestrooms including 41 suites and a peerless 6-bedroom ‘Penthouse Suite’. Renowned Rijksmuseum recreated Dutch Master paintings in guest rooms and suites. Culinary experience one Michelin star Bord’Eau Restaurant Gastronomique. A very well located hotel with a nice view of the canal. The staff is pleasant and efficient and the room overlooking the canal is atypical but comfortable. It's one of my favorite hotels in Europe. Every time I visit, it is a terrific experience. Very beautiful hôtel, well located. Besides a few criticisms – for example, the room was a bit noisy and the pillows were too thick, the staff was charming!